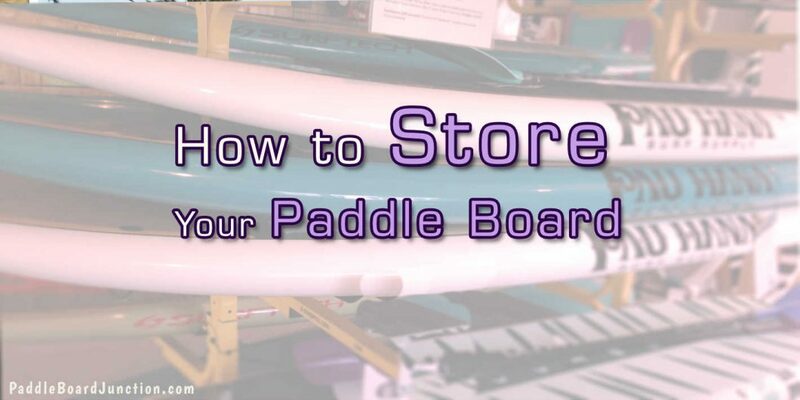 You’ve picked out and purchased the perfect paddle board, maybe even taken it out for a test on the water, but now you’re home, and you begin to wonder, “Where do I put this thing?” In this article, we’re going to cover some of the most common and convenient ways to store your paddle board, as well as some of the basic rules for taking care of your board to get the most out of your paddling experience. 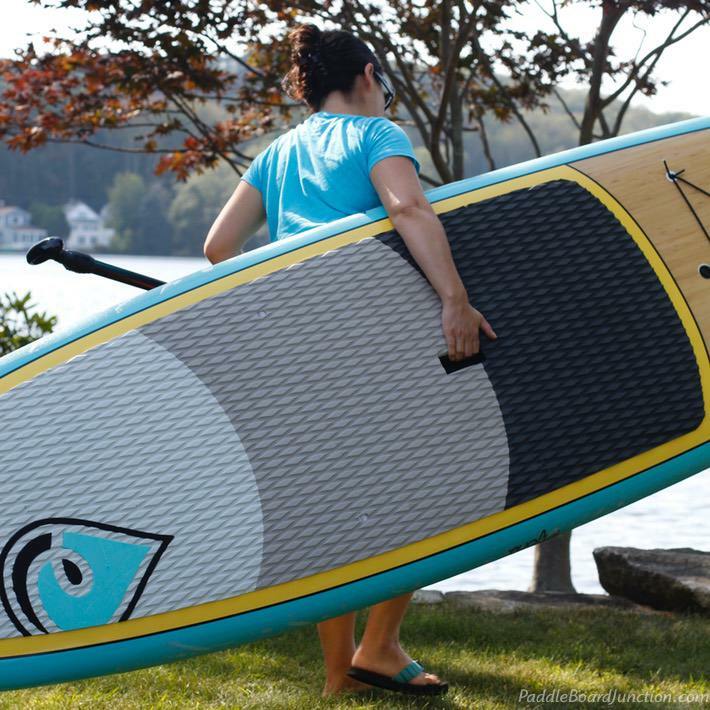 Before putting away your paddle board, make sure to give it a good cleaning to prevent growth of bacteria or mildew. If you’ve been out on freshwater, thoroughly rinsing the deck pad should be enough, but it’s a good idea to use some all-purpose cleaner every couple of runs. However, if you ride on salt water, make sure to wash the whole board after every outing. This will prevent corrosion and rusting, as well as protect that shiny finish. After the board is washed, give it time to completely dry before putting it away. Whenever the board isn’t being used, make sure to keep it out of direct sunlight. Overheating can cause damage to the board’s core, causing it to crack, and harmful UV rays can damage the paint and finish. One good way to prevent this is to buy a board bag, which will not only protect it from the sun, but also keep off dirt and dust. There are a million and one ways to store your board inside, whether it be in the house, garage, or basement. Just remember to keep it away from direct sunlight, moisture, heat source, or any place that greatly fluctuates in temperature. The easiest (and free) solution is to simply lean it up against the wall! Of course, there is the risk that if the board is not sturdily propped up, it could fall and dent. The safest way to prop it up is on the side or tail, but never on its nose. Another common, yet safer, method is to get a wall rack. Much like a fisherman’s prized catch on the wall, this is a great way to show off your beautiful board to any guests who may come over. These racks, or hangers, keep the board off of the ground and out of the way, providing a both practical and aesthetically pleasing solution. Make sure your rack has some form of padding or straps that will keep the board safe and snug, without denting it after prolonged storage. If you don’t want to put holes in your walls, another option could be a floor rack. 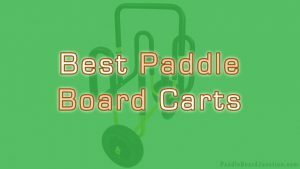 This is the middle ground between leaning your board against the wall and a wall rack, and is especially handy if you have more than one board, as it minimizes use of space while still keeping the boards safe. 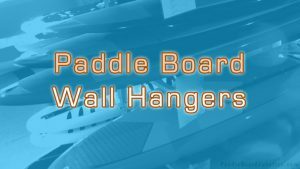 If you’d like to keep your board out of the way where is it doesn’t take up so much floor or wall space, you might want to consider hanging it from the ceiling. DON’T store your paddle board in plastic bubble wrap, as prolonged storage can actually make the bubble wrap stick to the board, and the plastic traps heat inside, which can damage the finish. Outdoor storage is recommended for temperate climates that don’t fluctuate or experience extremes in temperature. To store your board outside, first find a shady area, preferably with a roof. 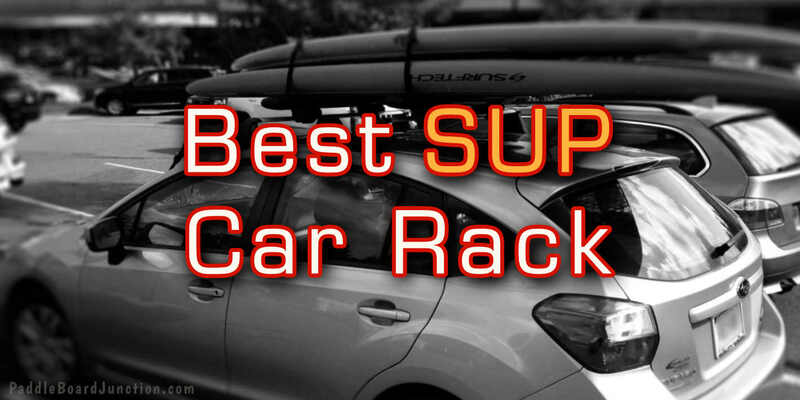 Many of the same methods as indoor storage work just as well outside, like the wall racks, but it would be a good idea to invest in a waterproof, rust-resistant model. 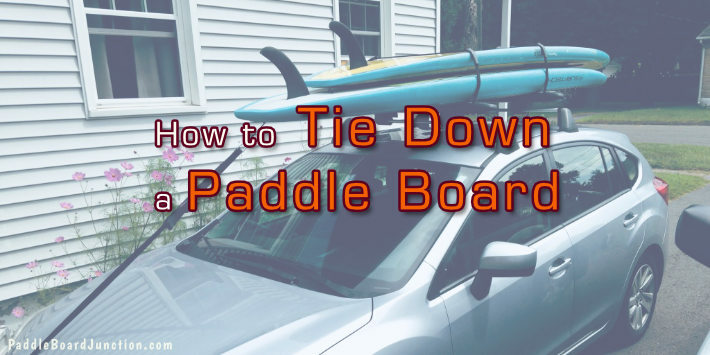 As an extra layer of protection from the elements, many paddle boarders will cover their boards with a strung-up tarp, leaving some space between the tarp and the board to allow airflow and prevent collection of moisture. Storing an inflatable SUP couldn’t be easier, since can store it as partially inflated to prevent creasing by any of the previously mentioned options, or if you’re tight on space, many shrink to a relatively small size when deflated and can be stored virtually anywhere. To prevent bends, creases, or any other damage, simply roll up the board loosely and store it in a cool, dry place. 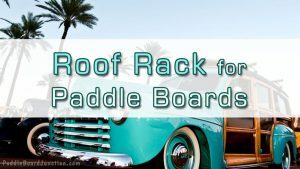 When it comes to storing paddle boards, there are so many options to choose from, each posing its own perks. If you want to show off your board and don’t mind the space it takes up, lean the board up against the wall or prop it up on a hanger. If you’re looking for space-saving solutions, hang it from the ceiling, or if you have and inflatable board, simply deflate it, roll it up, and put it away. Whichever methods you choose, make sure to take proper care of the board, cleaning and allowing it to fully dry before being stowed away for your next SUP adventure.